The latest supermarket share figures from Kantar Worldpanel in Ireland, for the 12 weeks ending 23 December 2012, show Dunnes increasing its share from 23.9% to 24.3% and posting sales growth of 1.9% − well ahead of the market growth rate of 0.3%. Among the other retailers, Aldi continues to post exceptional sales growth of 30% and its share has overtaken Lidl for the first time, becoming the fourth ranked grocery retailer in the state. 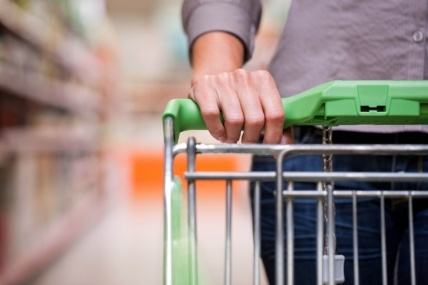 Despite this milestone there is evidence that shoppers have again shifted some of their spending back to traditional supermarkets over Christmas. Aldi and Lidl achieved a combined 12.6% market share in October, with this dipping to 11.9% in the latest month. Elsewhere, Tesco and SuperValu have both performed broadly in line with the market, with Tesco holding market share at 27.8% and SuperValu dipping marginally to 19.5%. Superquinn has performed behind the overall market, but a reduction of the sales decline has resulted in a better Christmas for the retailer compared with 2009, 2010 and 2011. Grocery inflation stands at 5.0%* for the 12 week period ending 23 December 2012, ahead of the 4.2% in the previous period and the highest since the 5.6% seen in May 2011.